I bought this dress totally intending on wearing it, but then found one that I love more. It's very comfortable, flowly, and elegant. It would be perfect for a spring or summer wedding. It has not been altered in any way! 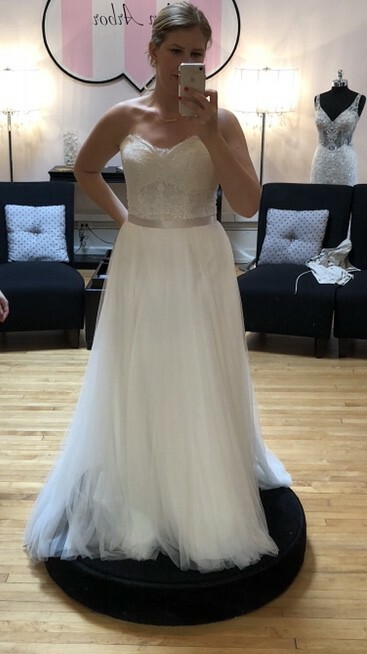 The gown is in near-perfect condition. There is a micro-tear on the top layer of the tulle near the hip. It's very hard to see unless you lift the individual layers of tulle. I'm discounting the gown heavily because of that though. Once you send a message, Eh can invite you to purchase the dress.